Chelsea will be aiming to build on a thrilling 2-0 win over star-studded Manchester City in the Premier League when they take on Vidi at Groupama Arena on Thursday night. Chelsea aim to keep their 100% record intact in Group L, whilst Vidi are determined to overtake BATE in second place in the standings and book their place in the last 32. The Hungarian side will surely leave their hearts on the field in Thursday’s football match, but beating the league leaders is easier said than done. Maurizio Sarri’s men are likely to have a number of chances to score on the break and we predict that they are going to pick up all three points from the Groupama Arena clash. Olivier Giroud is widely expected to lead the line for the visitors against Vidi and we believe that the former Arsenal man is going to pose a big threat for the opposition defenders. Armin Hodzic is Bosnia and Herzegovina international who plays for Hungarian side MOL Vidi as a forward. Hodzic is a product of Liverpool football academy, but he did not see any game action for the Reds first team in the Premier League. In 2012 he was loaned to Bosnian side Zeljeznicar and after scoring 18 goals in 45 appearances for the capital club, Hodzic moved to Dinamo Zagreb. Hodzic won three domestic trophies with the Modri before joining MOL Vidi in 2018. Speaking of his international career, Armin Hodzic made his Bosnia and Herzegovina debut on May 29, 2016 in a friendly against Spain. The Balkan Dragons were beaten by la Roja 3-1 that day. Armin Hodzic’s main position is centre-forward, but he plays as both second striker and left winger as well. 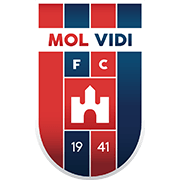 The MOL Vidi attacker doesn’t have a preferred foot. The Bosnian attacker was born in Sarajevo on November 17, 1994.